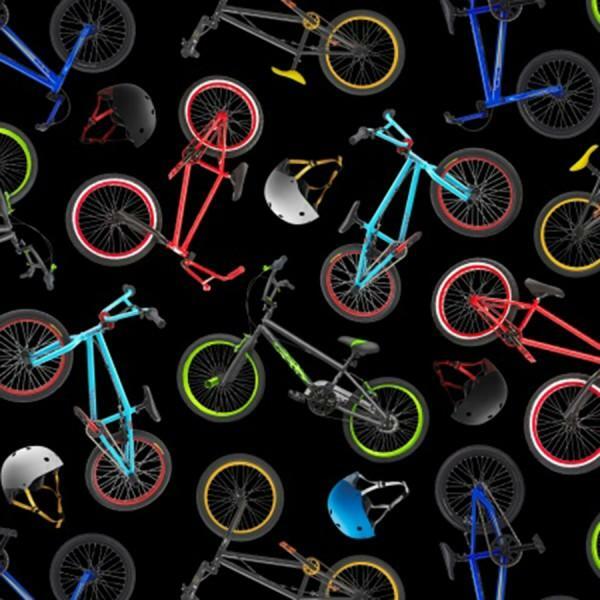 Black with multi colored bicycles with helmets. From the In Motion collection from Elizabeth's Studio. 100% cotton. 44"-45" wide.